Many agencies who already have RMS systems in place often find their existing evidence modules lack many of the features they need. Because of this, we are committed to providing a seamless integrated experience between EvidenceOnQ and your current RMS system. Our evidence management solution does not replace the RMS system, but rather works with it to give you greater flexibility, control, and power over your management and reporting capabilities. We are committed to work with existing systems that an agency uses to provide the tools, support, and functionality required to enhance and improve their current evidence management capabilities. Ultimately, adding even greater value and flexibility for your users. We also have a number of partners that we currently work with to provide you optimum solutions for your department. 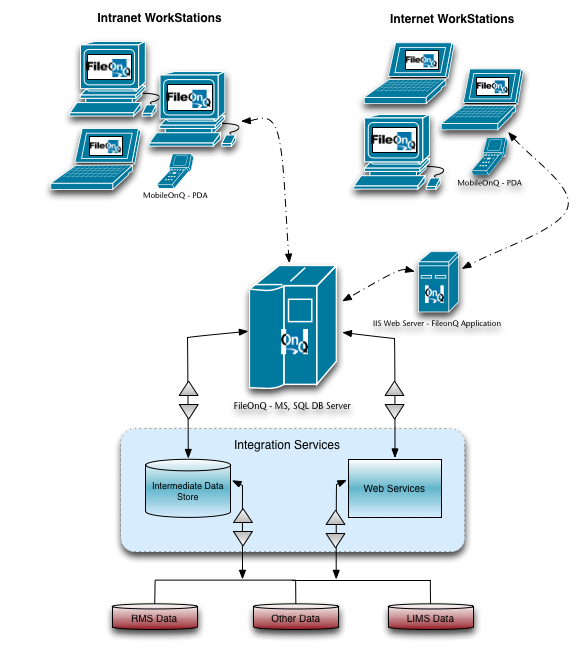 Once you make the decision to go with integrating EvidenceOnQ, we provide numerous integration services. Our team has the experience and technical expertise to get the job done. Your FileOnQ integration team will consult with your domain experts and users to gather all the requirements and use cases that will be needed to develop your integration features and functionality. Share existing or new data between your current RMS/LIMS system and EvidenceOnQ using our built-in import/export module. This module allows your RMS/LIMS system to push data into EvidenceOnQ or EvidenceOnQ to push data out. This can occur automatically or on demand, allowing the system to exchange the appropriate data when and where you want. Because our solution includes powerful reporting tools, agencies are instantly able to create and access an unlimited number of customizable reports about their evidence and more. Reports can be accessed in seconds to meet the needs of crime analysis, UCR reporting, NCIC reporting, impounded vehicles, state or federally mandated reporting, and much more. Agencies often find this enhances their capabilities while maintaining all of the benefits found in their existing systems. We give you complete control over the design of the home screen and the fields you want on it, along with the flexibility to modify it at any time. 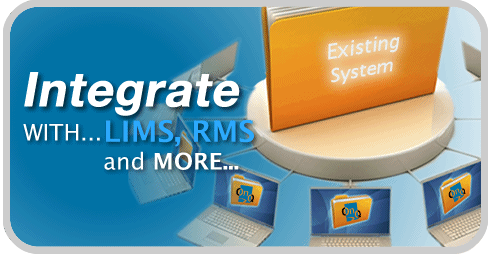 This enhances the evidence collecting and managing aspect over most RMS/LIMS evidence modules. You have the flexibility to build the exact interface you want, all while maintaining complete data sharing with your existing system. Purging projects that took days or weeks now take only minutes with our built-in search, retention review, and reporting tools. Users can create their own customized barcode labels quickly and easily along with the capabilities to read existing Tiburon barcodes. User can easily search by using any field or combination of fields.